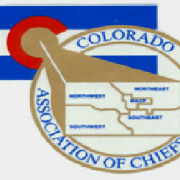 Numerica is proud to sponsor the 2015 Colorado Association of Chiefs of Police Annual Conference July 20-22 in Denver, CO. We’ll be attending the Awards Reception and Dinner on Tuesday, July 21 at 6pm, and will be giving a short presentation. We’re excited to see our Lumen customers and to be able to introduce Lumen to all others. Numerica was pleased to be able to be a part of the Arvada Police Department’s annual Teen Police Academy. As a part of their schedule, which included training in areas such as SWAT, building searches, crime scene investigation, and driving an actual marked patrol car, Numerica spent a morning discussing some of the computer-aided technology officers have at their disposal to aid in police operations. The students were able to see live demos of Numerica’s tools, including Lumen, PROact, and CJISvault, and learn about a variety of other tools that are used in a law enforcement setting. It was a valuable experience with a great group of students that have promising futures in law enforcement. We wish all of the academy graduates the best of luck as they further their education and training. Numerica Corporation has announced an agreement to expand the company’s flagship Lumen platform to agencies across Colorado through the Colorado Information Sharing Consortium (CISC). Lumen enhances data driven policing by enabling law enforcement personnel at all levels to search, analyze, and share tactical and strategic law enforcement data in real time. Thanks to all those who stopped by to see us at the IACP LEIM Training Conference and Technology Expo. Missed us at LEIM? We’ll be at the Northwest Regional Crime Analyst Network (NORCAN) Annual Conference next week, June 1-3. Stop by to see what Lumen and CJISvault can do for your agency. Body camera vendors are experiencing explosive growth in demand. There’s no doubt that these small cameras can make a big difference in reducing issues related to interactions between police officers and the public. But what is the true cost of body camera storage? As noted recently on PoliceOne.com, some agencies are facing multimillion dollar annual bills just for storing and managing the videos. That’s one of the reasons we introduced CJISvault. We think that reliable, CJIS-compliant cloud storage of body camera videos, crime scene photos, and other electronic evidence doesn’t have to cost an arm and a leg. Not only that, we also believe that critical data such as body camera videos shouldn’t be siloed inside yet another system. Law enforcement agencies will get a lot more value out of their videos and photos if they can directly integrate them with RMS, CAD, and other data through Lumen, creating a user-friendly “one stop shop” for all of your data. For less than the price of just storing your data with one of the big name body camera vendors, you can store your data securely in CJISvault and get the full-text search and powerful analytics of Lumen. Interested? Contact us for more details. 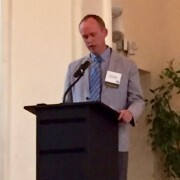 https://www.numerica.us/wp-content/uploads/2014/11/logo1.png 0 0 Numerica https://www.numerica.us/wp-content/uploads/2014/11/logo1.png Numerica2015-03-31 12:40:342015-03-31 12:40:34Body cameras: how expensive does storage have to be? Digital media storage is becoming an increasing issue for police. Crime scene photos, video footage, cell phone forensics, and other sources are combining to create an overwhelming amount of data to be stored and managed. So we’re very excited to offer a new product called CJISvault. What is CJISvault? It is a fully CJIS-compliant, cloud-based system for managing and storing law enforcement-sensitive digital media. You can use CJISvault to store a wide variety of media, from photos to video to interview audio, or even 3D lidar scans of a crime scene. Unlike competing solutions, CJISvault is priced based only on how much storage space you actually use – so there’s no cost for unused capacity. And we don’t charge per user fees, either. Finally, CJISvault integrates closely with Lumen. That way, if you need to search and analyze all of your data, including CAD, RMS, LPR, Intel, and digital media, you can do it from one clean, simple portal. Contact us to learn more! We at Numerica care about the safety and support of law enforcement officers and their families. That’s why we’re committed to donating $25 to the IACP Foundation every time you or one of your colleagues registers for a demo of our product Lumen at the upcoming CPCA Annual Training Symposium February 24, 2015 in Riverside, CA. The IACP Foundation helps support fallen and injured officers and their families. Stop by booth #207 to set up your demo. Not able to make it to CPCA? Contact us to find out more about Lumen and our commitment to smarter and safer policing. 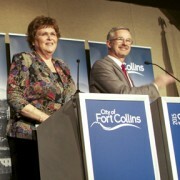 Fort Collins Mayor Karen Weitkunat and City Manager Darin Atteberry delivered the annual State of the City Address on February 5 to review 2014 accomplishments and present the vision for the city moving forward. As part of the address, Mayor Weitkunat recognized a number of local companies doing exciting work in Fort Collins, including Numerica. We’re proud to be a part of this thriving community and look forward to continuing to be a part of its growth and success.